The C57BL/6 mouse – sometimes called the B6 or Black 6 mouse – is among the most useful mouse models in preclinical research, owing to its utility in metabolic studies and popularity as a genetic engineering platform. While the B6 mouse offers many advantages over other mouse models, genetic heterogeneity can present challenges in research design. Within the general B6 mouse strain, there exist several closely-related inbred strains known as substrains. This results in the occasional unwanted genetic heterogeneity when working with multiple substrains of the B6 mouse. However, within each substrain, there is a much higher level of genetic uniformity which leads to greater reproducibility and lower variability in results. In this guide, multiple characteristics of each substrain will be discussed so researchers can choose the model that best fits their research project goals. 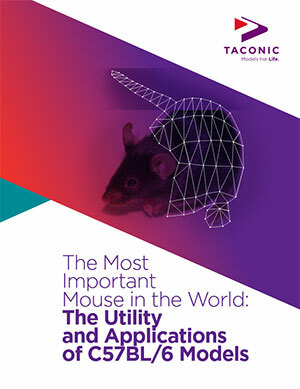 Are you using the B6 mouse to its fullest potential – or potentially undermining your research?